University of Texas at Arlington physicist Wei Chen recently reported that his investigation team has discovered a more efficient cancer treatment using nanotechnology. Wei Chen, co-director of UT Arlington’s Center for Security Advances via Applied Nanotechnology (SAVANT), has been working on a light-emitting nano particle that was originally supposed to be used to detect radiation for security purposes. 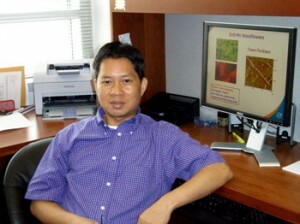 Dr. Chen team’s initial focus was on a security-related project about radiation recognition, however, through the course of their research, the scientists ended up discovering that when the copper-cysteamine compound they produced was exposed to X-rays, it emitted singlet oxygen, a toxic-by-product. Chen now believes that this invention can be used to kill cancer cells in photodynamic therapy, which is a treatment for cancer that kills malignant cells using singlet oxygen exposed to light. “This new idea is simpler and better than previous photodynamic therapy methods. You don’t need as many steps. 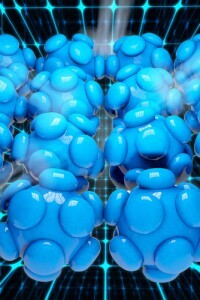 This material alone can do the job,” Dr. Chen said. According to his research, this new form of treatment would also be less toxic to the healthy cells. The physicist’s research also led to another finding, revealing that, when combined with X-ray exposure, the Cu-Cy nanoparticles significantly slowed tumor growth. This finding builds on previous reports on how Dr. Chen has conducted tests involving human breast and prostate cancer, with UT Arlington arranging a provisional patent application for the compound. “Dr. Chen’s commitment to his work in cancer-related therapy, as well as his work in the area of homeland security, demonstrates the wide-ranging applications and great value of basic science research,” said Carolyn Cason, vice president for research at UT Arlington. “These advances have the potential to change the way some cancers are treated and make therapy more effective—a benefit that would be boundless,” she added. Wei Chen currently leads a federally-funded cancer research initiative, and believes the findings are promising. The investigation, and further details on the crystal structure and optical properties of the compound will be made public in the August edition of the Journal of Biomedical Nanotechnology. The next step regarding this discovery may be able to reduce the size of the Cu-Cy nanoparticle in order to make it easier for the tumor tissue to absorb. “For cancer, there is still no good solution yet. Hopefully this nano particle can provide some possibilities,” Dr. Chen said.